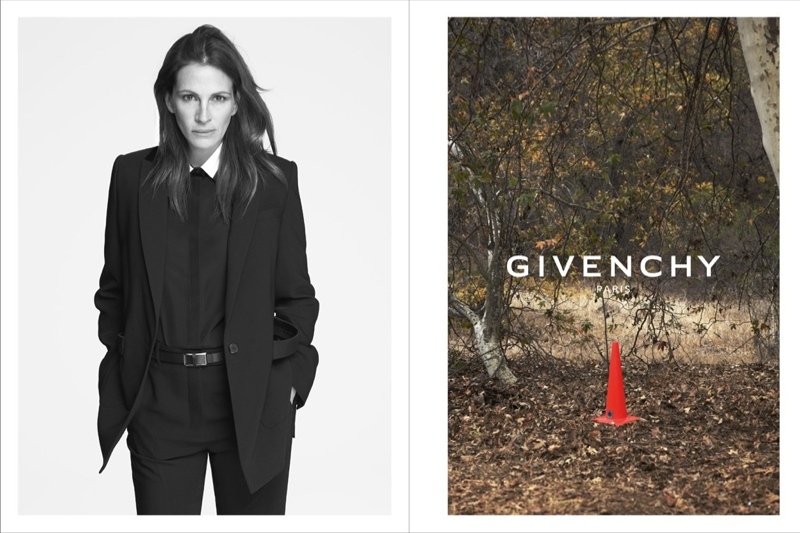 Julia Roberts was announced by Riccardo Tisci as the new face of Givenchy Spring/Summer 2015 collection. In one of the images shot by Mert Alas and Marcus Piggott the 47-year-old actress is wearing a pantsuit cut mannish paired with a black shirt with white collar contrast. In another photo sports a lace blouse with giant leaps. “The mood of the parade shows a strong woman, and Julia is,” Tisci explained to WWD.